A Better Resume Service has 57 links managed on Repio. 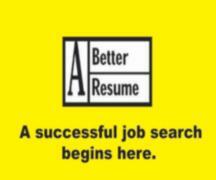 A Better Resume Services provides the highest quality resumes. A+ BBBB Rated. More than 30 years of experience in writing resumes for successful job seekers.